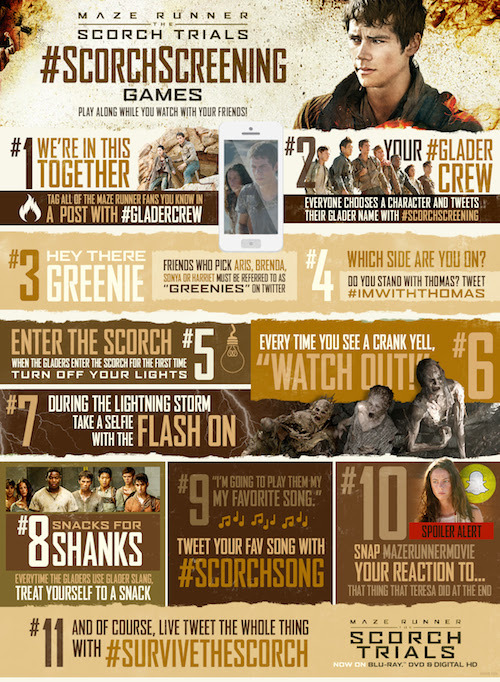 Think you could #SurviveTheScorch? The Maze was just the beginning and now after the harrowing adventure of escaping the maze, the Gladers find themselves right in the center of an epic mystery in MAZE RUNNER: THE SCORCH TRIALS. 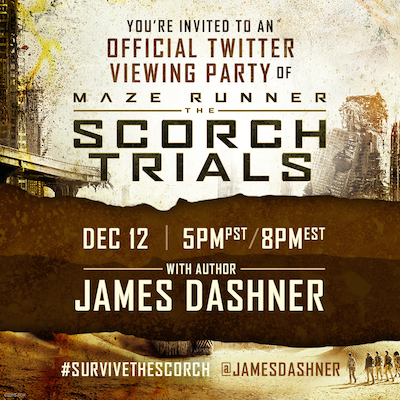 To celebrate the Digital HD release and upcoming Blu-ray™ and DVD release on December 15th, join Maze Runner author, James Dashner in a LIVE Twitter Viewing Party on Saturday, December 12th beginning at 5PM PST/8PM EST.